What a great post for the end of the year, which is also the end of the 2012 FMQ Challenge. 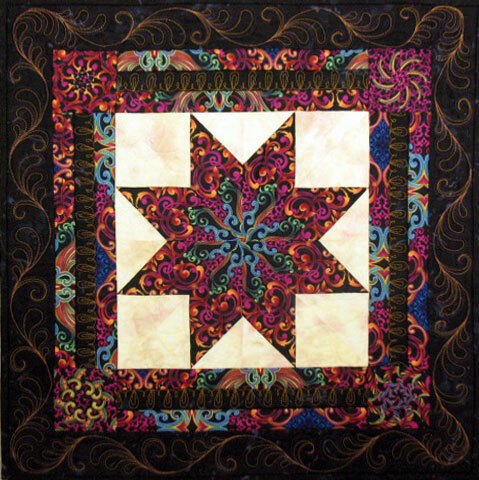 Everyone that participated certainly enjoyed the grand finale with your wonderful FMQ tutorial. And, I’m certainly eager to see you create a FMQ DVD on borders……I am not aware of any such DVD on the market and think many would enjoy it. I know I’d buy it. Hi Patsy! Hope you had a wonderful Christmas and Happy New Year. I really enjoy all your blog posts and sharing your beautiful quilts with us. Thanks for being such an inspiration! Your tutorial was fantastic, and I especially wanted to thank you for including the video showing us how to quilt the spineless feathers toward ourselves. It seemed a bit strange at first when I got to the machine, but in the end I think it really helped to create nice puffy feathers. The video easily demonstrated what it would have taken many still photos to show us. I love that format and look forward to learning so much more from you! 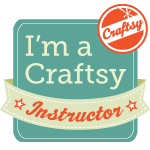 I am new to your site though not new to quilting. I have been watching your tutorials and I wanted to say thanks. They are well made, very informative and fun to watch. I have really enjoyed them. If you make your DVDs available as online downloads, I bet you would do even better with them. I live abroad and I as well as my students enjoy ordering immediately downloadable media. Just a thought. Thanks again. You have a quality product and your work is lovely. Thank you for your wonderful words regarding my mini quilt. I have been following your blog for a quite a while and have downloaded some of your patterns. I love how you progress from one pattern to another by just adding a little “something” or making a small change. Makes it so easy to go from one design to another. Feathers had eluded me before this year of challenges…no more. Love your work and many thanks.